This week I presented my PhD Research in the Brown Bag Series at UAlbany invitation from Dr. Luis F. Luna-Reyes. Is was also another very rich experience. The discussion was very good. The audience gave me some feedback and new questions to improve my research. When you finish a presentation with more questions than when you started can be a good signal - your study is advancing. Next week we will continue with the INF Brown Bag Series. 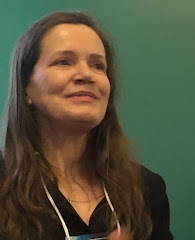 On Wednesday, February 25, we will have a presentation by Beatriz Barreto Brasileiro Lanza, a Visiting Scholar from Brazil at the Center for Technology in Government. Beatriz is a PhD Student in Business Administration at Federal University of the State of Paraná (UFPR) and Senior Analyst at IT Company of the State Government (CELEPAR). Her brown bag will take place from 12:30-1:30 in BA 349. The title of her presentation will be Low Cost Technologies: Proposing a Business Model for SMS-Based Government Services (see abstract below). 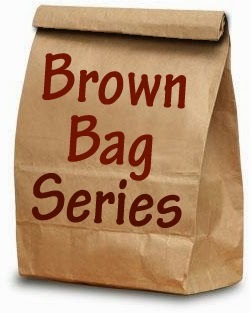 We invite everyone in the greater Informatics community to host a brown bag (that is pick a topic or lead the discussion), and of course to join us every week. We would love to get a wide representation at these talks. This presentation will be about mobile technologies to provide information and services to citizens. Particularly in developing countries are finding mobile strategies to be useful ways to reach to their citizens, including disadvantaged groups. This research argues that the government use of Short Message Service (SMS) to offer information and services to citizens is low because of a lack of a clear and actionable business model for this technology. So, it proposes a conceptual business model for SMS-based government services. Individuals are increasingly using mobile phones for accessing information and this trend is becoming stronger with the improvement of long-range technologies and the high penetration of mobile devices in developing countries. However, their use to deliver government services to citizens remains generally low.